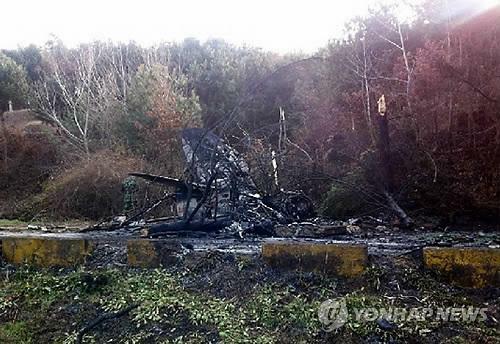 A Republic of Korea Air Force (RoKAF) BAe Hawk trainer jet has crashed during an exercise, killing both pilots aboard. According to the RoKAF, the trainer crashed this afternoon at 2.27pm local time near the aircraft's base at Yecheon, North Gyeongsang Province, about 250 kilometers southeast of Seoul. Both pilots, 34-year-old Major Park Jeong-soo and 33-year-old Major Kwon Seong-ho, were unfortunately killed in the crash. No casualties were suffered on the ground, although 3 greenhouses were damaged by fire. The aircraft had reportedly crashed soon after taking off for an emergency landing practice exercise. The RoKAF took delivery of 20 Bae Hawk 67 trainers (known locally as T-59s) in 1992, and the remaining 15 (after today's crash) serve with the RoKAF's 216th Flight Training Squadron/16th Fighter Wing at Yecheon. South Korea reportedly wants to retire their Hawk fleet by 2013, possibly replacing them with locally-built KAI KT-1 basic trainers. Indonesia has been reported as being a possible buyer of the Korean Hawks.